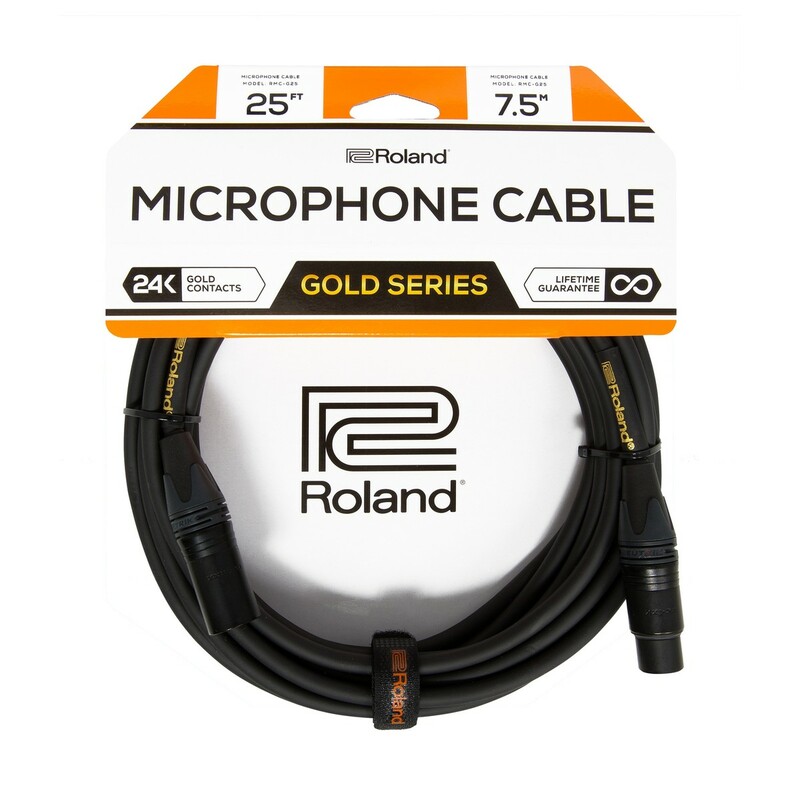 The Roland Gold Series Microphone Cable, 25ft/7.5m is a high-end microphone cable designed to deliver optimal audio fidelity. 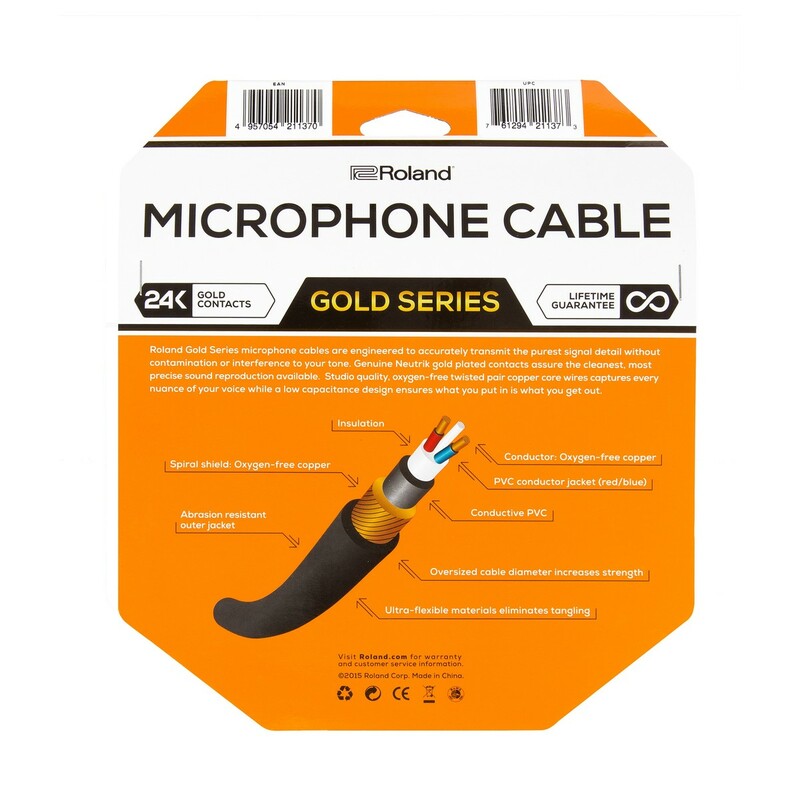 The RMC-G25 Gold Series Mic Cable provides the purest signal possible, eliminating contamination or noise interference. 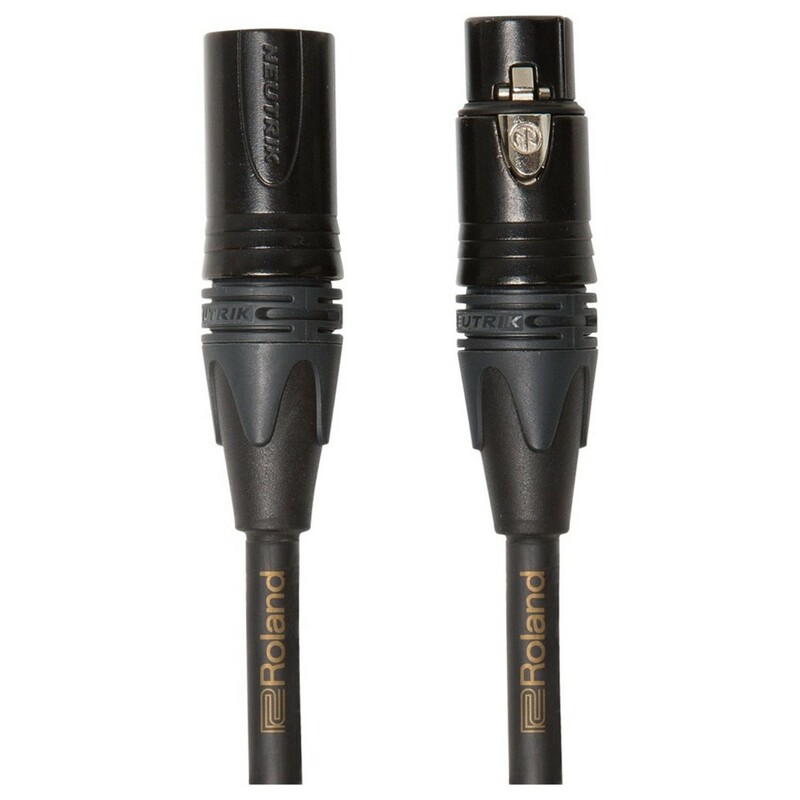 It comes equipped with 24K Neutrik gold-plated connectors. This ensures the cleanest possible signal for exceptional audio reproduction.